California State University, Dominguez Hills, was established in 1960 and is one of the 23 campuses that comprise The California State University system. CSU Dominguez Hills is an urban, comprehensive public university that serves a culturally rich, diverse student body of over 12,500 students at the undergraduate and graduate levels. Located on a 346-acre site in the South Bay portion of the greater Los Angeles metropolitan area, CSU Dominguez Hills has a highly pluralistic student body, which includes a significant number of non-traditional, working adult students as well as approximately 2,000 students enrolled in distance learning programs statewide. The University, with its five Academic Colleges, has more than 300 full-time faculty members and is situated in an area characterized by an extraordinary heterogeneity of people, and an extensive array of high technology industries and professional services. Possession of a valid Driver's License is required. Employees in this position will be enrolled in the Department of Motor Vehicles (DMV) Government Employer Pull Notice Program which confirms possession of a valid driver's license and reflects driving record. Employment is contingent upon candidate passing a pre-employment physical exam with the ability to lift up in excess of 50 lbs. Satisfactory completion of a background check (including a criminal records check) is required for employment. CSU will make a conditional offer of employment, which may be rescinded if the background check reveals disqualifying information, and/or it is discovered that the candidate knowingly withheld or falsified information. 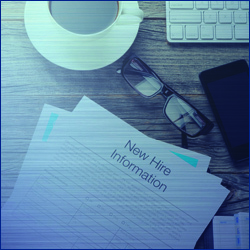 Failure to satisfactorily complete the background check may affect the continued employment of a current CSU employee who was conditionally offered the position. This is a full-time management (MPP) position. MPP employees serve at the pleasure of the campus President. MPPs do not serve a probationary period and never receive permanent status. This position is a "designated position" in the California State University's Conflict of Interest Code. The successful candidate accepting this position is required to file Conflict of Interest forms subject to the regulations of the Fair Political Practices Commission. Special Working Conditions: The incumbent may be required to work other shifts and weekends as needed. Facilities Services is responsible for the upkeep, repair and maintenance of State owned and operated buildings and grounds, totaling in excess of 1,250,000 gross square feet of building space and 346 acres of grounds. Department responsibilities include the daily operations of custodial, landscaping, motor pool, building mechanical, HVAC, central plant, electrical and skilled trades work, including minor capital remodeling projects. The department's mission is to provide an aesthetically appealing, well-maintained, safe and comfortable physical environment conducive to learning and work. Under the general direction of the Associate Director of Facilities Services, the incumbent provides leadership and management of the University Custodial and Grounds Departments by implementing effective management practices to achieve the goal of maintaining an aesthetically pleasing and safe environment for University students, faculty/staff, and guests. This is a working manager position responsible for planning and coordinating the work of approximately 57 staff and an administrator, providing custodial services of campus buildings, and developing and maintaining campus grounds, including parking areas and athletic fields. The incumbent determines, develops, recommends and implements sound solutions to complex problems that may impact several functional areas. The position also plans and organizes the day-to-day operation of the Custodial and Grounds departments, motivating staff and ensuring the effective and efficient allocation of staffing, materials, and equipment using methods that reflect high quality work and accountability. Leading and developing staff is an important aspect of this position through the use of effective coaching, performance measurement and mentoring. The incumbent provides input in determining annual budgets and ensuring best practices are used in managing departmental budgets. Responsibilities also include establishing custodial and landscape standards, procuring all materials and contracts for services, management of the campus Recycling Program, and other administrative duties. - Knowledge and ability to develop and maintain an operational budget; and must have experience in front line and departmental management supervision including creating and enforcing policies and procedures. - Working knowledge of or ability to quickly learn University infrastructure, policies and procedures. Knowledge of labor management agreements and accompanying labor relations procedures; possession of Arborist and Class I spraying certificates are preferred, including Pest Control Advisor's License (CA DPR), Qualified Applicator Certificate (CA DPR) and Arborist Certification (ISA). A bachelors degree in horticulture, business administration, management, or a related field. Preferred Education: A master's in horticulture, business administration, or a related field. Five to seven years experience in supervising others and managing plant operations, custodial or grounds operations; budget management experience; and experience with automated work order system in the maintenance environment. This experience must be within the last ten years of work history. Five or more years of experience managing in a union environment in a college or public sector maintenance department is preferred. How to apply: You can only apply by completing an electronic application at the campus job web site at http://www.csudh.edu/hr/job-opportunities/ . Click on "view job opportunities" under "New and returning applicants." The position will remain open until filled. CSU Dominguez Hills is an Equal Opportunity /ADA Employer.